The Renatron® II Dialyzer Reprocessing System automatically reprocesses dialyzers used by kidney dialysis patients and provides valuable data for record keeping and quality control. Since the introduction of Renatron®, hundreds of millions of dialyzers have been processed. 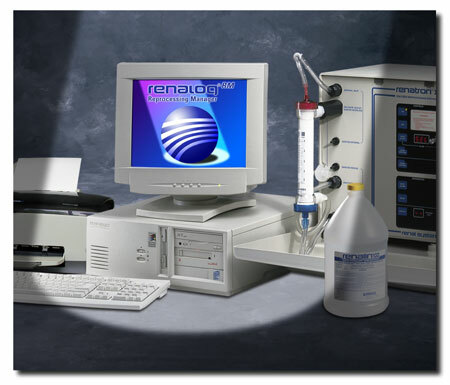 The current Renatron model, the Renatron® II 100 Series brings all of the best features of the original, but includes critical enhancements determined by our customers.